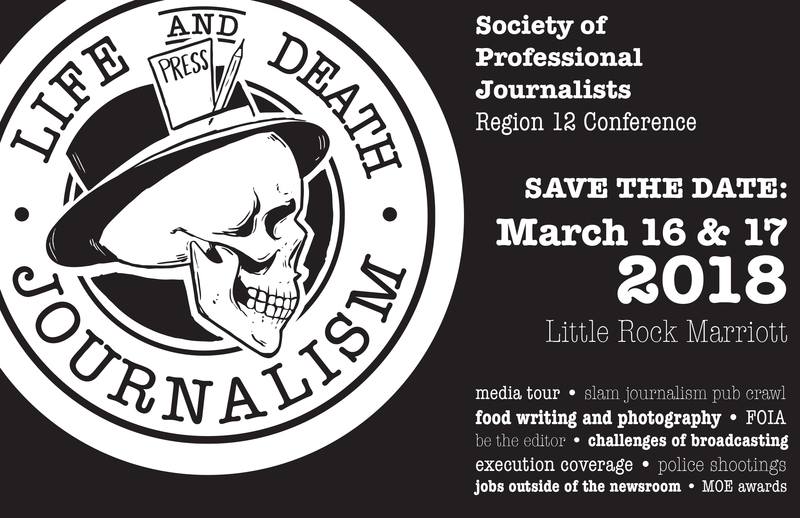 On March 16-17, journalists from throughout Arkansas, Louisiana, Tennessee and Mississippi will gather in downtown Little Rock to hone their skills as part of the Society of Professional Journalists Region 12 Conference. A media tour and slam journalism pub crawl (think news stories recited slam poetry style) will kick off the conference on Friday with a full day of sessions Saturday beginning with a food writing and photography session with breakfast at the conference hotel and moving on to topics including the Freedom of Information Act, ethical decision making, coverage of police shootings, challenges of broadcasting and more. A super session will feature a panel of journalists who witnessed the recent round of Arkansas executions. That evening will feature a sponsored reception and presentation of the Mark of Excellence awards. Feel free to stick around on Sunday to enjoy all that Little Rock has to offer. For a full schedule of events, hotel and registration information, visit spj12conference.wordpress.com.